What It’s About: When newspaper magnate Charles Foster Kane (Orson Welles) dies, his last words are “Rosebud”. A newsreel reporter (William Alland) talks to the people who knew Kane to see if he can find out what it means. Why Watch it Today? : William Randolph Hearst was born today in 1863. Writer, director and star Welles and his co-writer Herman J. Mankiewicz famously based Charles Foster Kane’s life on elements from Hearst’s, and Hearst ensured that the film received only a brief release. 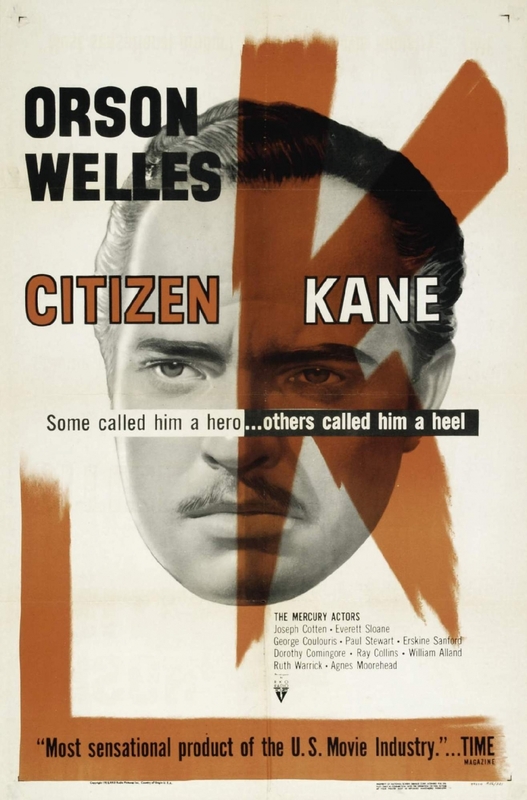 Citizen Kane was enormously influential and innovative, and is still one of the best, if not the best, rise-and-fall films, with an amazing cast from the Mercury Theater, soundtrack by Bernard Hermann, cinematography by Gregg Toland, editing by Robert Wise, all newcomers or near-newcomers to film, making their achievement all the more amazing. This entry was posted in "Based on a True Story", Arthouse, Black and White, Drama, Movie of the Day, Mystery and tagged Agnes Moorehead, Bernard Hermann, Best Art Direction-Interior Decoration Nominee, Best Music Nominee, Best Original Screenplay, Best Sound Nominee, Everett Sloane, Gregg Toland, Herman J. Mankiewicz, Joseph Cotton, Mercury Productions, newspaper, opera, Orson Welles, politician, recluse, reporter, rise and fall, RKO, Robert Wise.